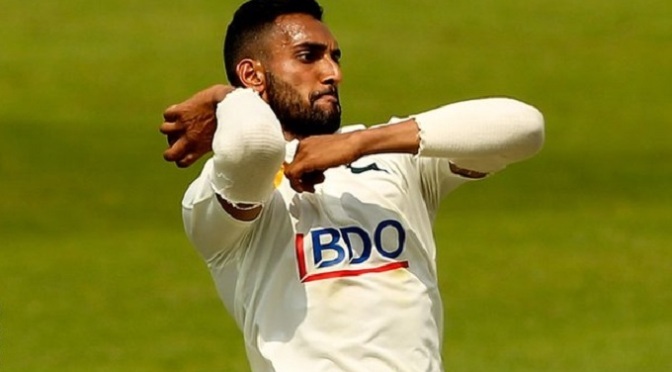 Sussex have signed Nottinghamshire pace bowler Ajmal Shahzad on a three-year contract after he was released from his deal at Trent Bridge a year early. The 29-year-old, who played one Test match for England in 2010, has signed a deal until the end of the 2017 season. “It has come about quickly but I’m just delighted to be down here,” he said. Shahzad, whose sole Test appearances came against Bangladesh at Old Trafford, has also played 11 one-day internationals and three Twenty20 matches for England. He has been at Trent Bridge for the last two seasons, having started his career at Yorkshire and had a loan spell at Lancashire in 2012. The Huddersfield-born right-armer took 18 wickets at an average of 40.55 in eight County Championship appearances in 2014 and added 11 wickets in the One-Day Cup and 13 in the T20 Blast. He has taken 201 first-class wickets at an average of 35.52 over the course of his career. Sussex’s cricket manager Mark Robinson described Shahzad as “a cricketer of great ability”. “He hasn’t yet fulfilled all of his potential,” Robinson said. “He can bowl with a yard of pace and has the potential to be a genuine bowling all-rounder. 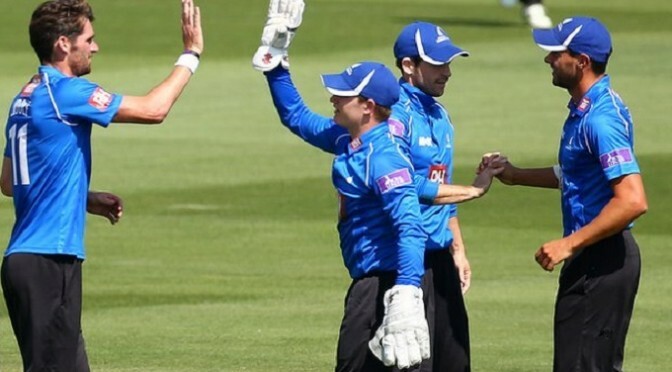 Sussex beat Surrey by 36 runs to secure their second One-Day Cup win in as many nights and move up to sixth in Group B. After snatching victory from the jaws of defeat against Durham on Tuesday, Sussex posted 289-8 at The Oval. Luke Wright (52), Ed Joyce (58) and Craig Cachopa (58) all scored half-centuries for the visitors. Surrey fell well short, despite Tillakaratne Dilshan’s 85, as Lewis Hatchett (3-44) and Chris Liddle (3-39) helped restrict the hosts to 253-9.